According to NYMag, half of Americans make new year's resolutions, but only 8% of them succeed. So, why should you waste your time creating resolutions when the likelihood of success is so low? To be honest, we haven't set a new years resolution in years. 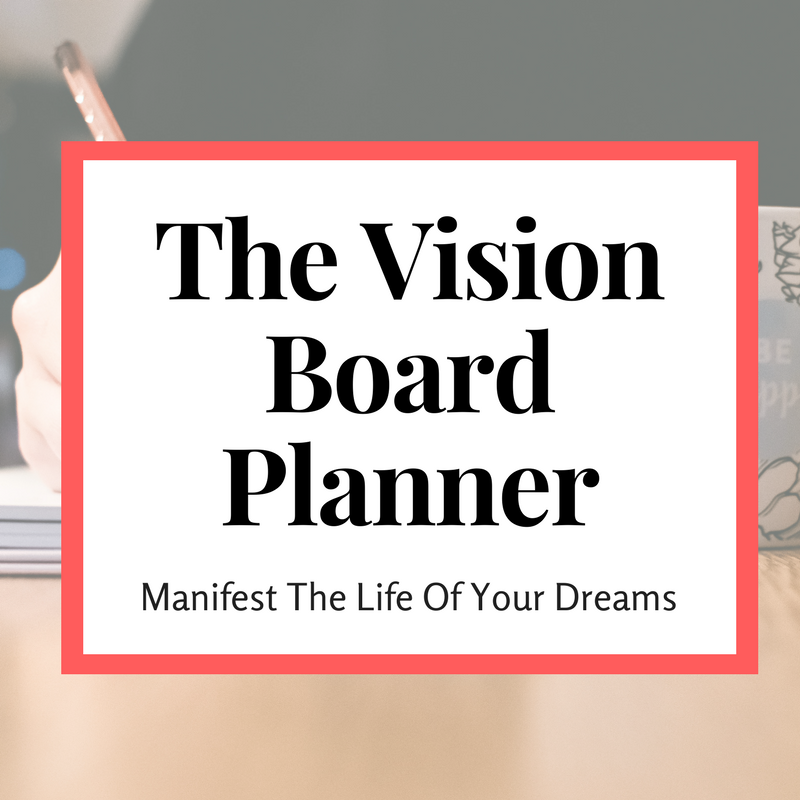 Instead we create a vision board and set goals. Because having goals is the first step to reaching the success you want to see! Without a road map and a destination in mind, how else will you get where you want to go? The real question you should be asking is How can I be one of the 8% that accomplishes their goals. The honest truth is there is no difference between those that accomplish their goals and you. They have the same number of hours in the day. They also have a wide variety of circumstances. So, what are they doing differently that gives them the strength, motivation, and will power to keep pushing forward on their goals? They have someone to hold them accountable. The most successful people talk a lot about mastermind groups, mentors, associations, and accountability partners. These are the people that work in tandem to push the everyday achievers forward. Whether they are giving sound advice from a lifetime of experience or getting down in the weeds to help out, this support system keeps the every day #Girlboss going. If you want this year to be different ask a friend to call you every Sunday to talk about your goals for the week. Spend a few minutes every week telling that person what you want to accomplish for the week and how many of your goals you were able to accomplish the past week. This will keep you honest about moving forward. They write their goals down. The act of simply writing your goals will increase the likelihood that you accomplish them. When you take the time to write out your goals, it gives you a chance to think deeper about them. It allows you to revisit your goals to further visualize them and get a better idea of how you will accomplish them. If you want to really get a jump start on your goals, write them down (with a pen) and write out the steps that you will need to take to accomplish those goals. If the goal is large break it down into smaller steps. Spend some time brainstorming about different ways to accomplish this goal. Then, you'll be ready to hit the ground running. They set small goals that contribute to the larger goals. We all have goals that we want to reach one day whether it's being the CEO of an incredibly profitable business or reaching the C-suite for someone else's company. These REALLY BIG goals cannot be achieved in one month (or in one year for the BHAGs). The really successful people break their big goals down into smaller, more manageable goals. Smaller goals gives you more opportunities to celebrate small wins while still contributing to your overall larger goal. They keep going when the going gets tough. I'll be honest... Big goals (if you set them right) are never easy. You will put yourself in a position to leave your comfort zone behind and grow as a person. This usually comes with a huge gap between where you are now and where you want to be. This gap is usually incredibly difficult to cross. The difference between the people who will go on to cross this gap and accomplish their goals and the ones that fail is the ability to get over this gap. When you see a difficult moment in your way, understand that you might be really really awful at what you're trying right now, but one day if you keep going forward, you could be great. Just keep going. Simply making a new year's resolution isn't enough to create a change in your life. If you want this to be the year you launch that startup, become profitable or finally get that promotion, you have to make it happen. Rather than focusing on January 1st and fitting in with the starry-eyed goal setters (who will quit in the first week) start focusing on your plan, surrounding yourself with good people who will push you forward and committing 100% to your goals. Once you do that, you can do anything.